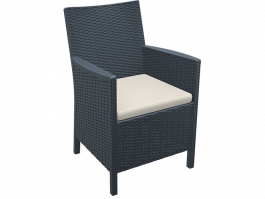 Palm Outdoor Wicker Café Chair – arm are popular among commercial venues or areas that flow from indoors to open space in a semi-outdoor fashion. And don’t be afraid to set these chairs outdoors. 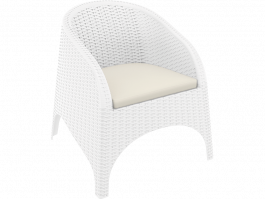 The Palm Outdoor Wicker Stool is popular among commercial venues or areas that flow from indoors to open space in a semi-outdoor fashion. And don’t be afraid to set these stools outdoors. 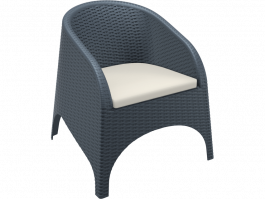 Packed with UV stabiliser, these stools are built to withstand outdoor conditions and will not fade, warp or crack even when fully exposed to our harsh Australian sun.